Smartphone apps could be key to addressing Australia’s significant under-consumption of vegetables, especially with men and people who are overweight or obese. Despite evidence that eating vegetables can reduce the risk of heart disease, high blood pressure and cancer, it is estimated that more than 19 million Australians aren't meeting their minimum dietary guideline recommendation. 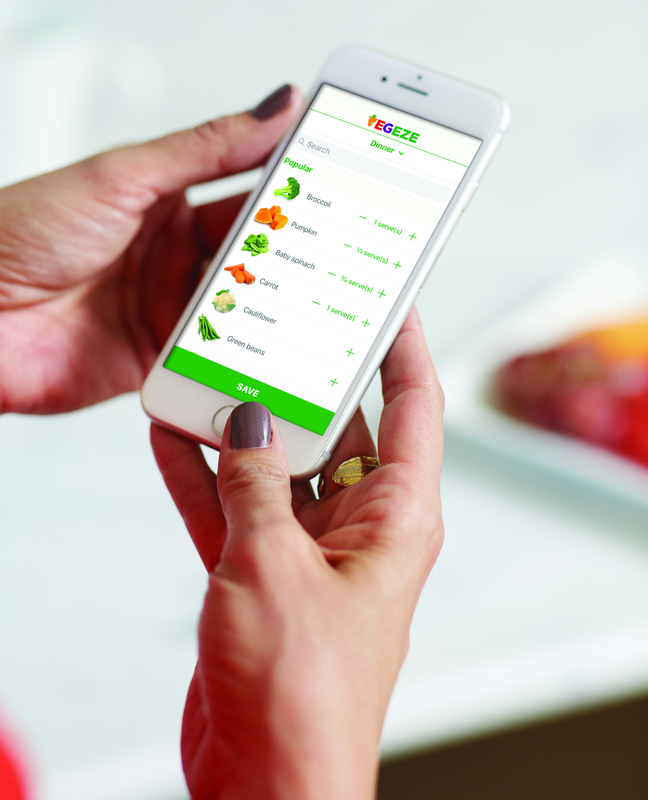 Launched last year, and commissioned by Hort Innovation, CSIRO's VegEze app uses game-like features to encourage Australian adults to eat more veggies through a 21 day 'Do 3 at Dinner' challenge. More than 4000 people have taken part in the study and of those who have completed the challenge, over 80 per cent are having three vegetables with dinner. CSIRO scientist Dr Gilly Hendrie said the findings of the research showed that adopting a gamified approach, such as the VegEze app, was an effective way of helping improve Australia's poor vegetable score-card. "The app has helped tip the scales the most for obese people, with obese men consuming one extra serve and two extra types of vegetables per day, which is a significant increase," Dr Hendrie said. "By the end of the challenge, the percentage of obese men that were meeting the Australian Dietary Guidelines vegetable recommendations had increased four times to 30 per cent. "Men in general increased their vegetable intake by three quarters of a serve. "This resulted in 10 per cent increase of number of men meeting the guidelines, but interestingly we only saw an increase of 1.4 per cent for women." A report published by CSIRO last year highlighted that women generally eat more vegetables than men, which may account for the smaller increase. "It's an encouraging sign of the times to see how technology can drive healthy eating habits, especially for those groups that need it the most, like men and obese adults," Dr Hendrie said. "As Australia's national science agency, we are focused on delivering solutions that are helping Australians live longer, healthier lives. "We encourage people to take up the 21-day challenge which is free to download from the app store." The VegEze app helps people track their intake and tally up vegetable serves, with daily reminders and rewards to help people stay motivated and on-track. The app and associated research was funded by Hort Innovation and developed in partnership with digital health solution provider SP Health. Hort Innovation Chief Executive John Lloyd said the findings gave Australian vegetable growers a snapshot into the vegetable eating habits of Australians, with the aim to better serve consumers. "Australian vegetable growers are constantly adjusting their business practices to best cater to shifting consumer demands," Mr Lloyd said. "We have seen this in the rise of easily accessible vegetable snacking options such as smaller-sized beetroots and carrots, cauliflower rice and pre-cut celery. "With this insight into potential gaps in the market, growers can now see where innovations are needed to help Australians eat more vegetables, while giving them the best produce possible." People can still participate in the research study by doing the 21-day Do 3 at Dinner challenge. Download the free VegEze app via the Apple App Store .